Offering food to monks, every early morning. Thai dancing (Ramwong) every night after dinner to exercise after eating our delicious meal. The Water Festival, Songkran Day. 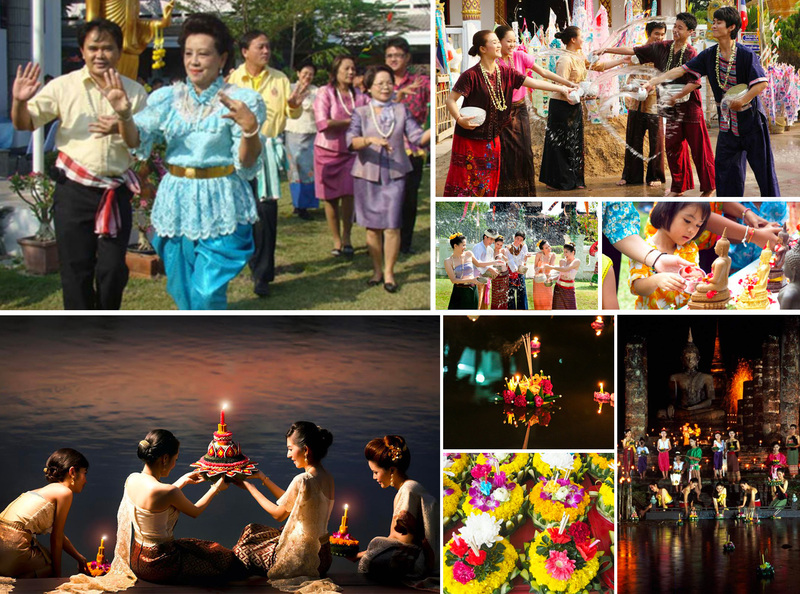 On 13rd-14th-15th April which is traditional Thai New Year. We splash water to each other to bless happiness and good luck during the hottest time of the year.